In difficult economic times, many Americans switch from expensive insurance plans to affordable major medical health insurance to meet their basic insurance needs. If you're interested in major medical health insurance, you'll need to do a little bit of research. Decide what kind of coverage would be best for you or for your family, and consider how much you are willing to pay in terms of monthly premiums. Consider the cost of a deductible so that you won't be taken by surprise if an emergency occurs and you land in the hospital. Do a price comparison of the insurance companies that offer the package you're looking for. You will do well to compare prices online, as various websites have the tools that you'll need to look at what companies offer, how much premiums cost, and how much the deductibles are side by side. A health insurance company will look at your hobbies and activities, your work environment, your lifestyle choices (drinking and smoking are included), as well as your overall health. You may be denied coverage on the basis of one or more of these issues, or your premiums may be higher. After you have quotes from a couple of different companies based on these criteria, you will be free to choose whatever plan you like the most. It really isn't difficult to find a company that offers major medical health insurance plans for a wide range of individuals. Narrowing down these groups is key. Begin your search by looking online. A website such as Health Insurance Finder will allow you to get quotes from a variety of companies. Some of the more popular insurers such as Aetna Insurance and Blue Cross/Blue Shield will be listed on these websites along with some other insurance providers with which you may be a bit less familiar. Contact the insurance companies that you think would work for you and get a quote. Alternatively, you can call local insurance companies and see if they will be able to match the prices and the coverage provided by those that you find online. You may also consider asking family and friends what type of coverage they use, and if they're happy with their plan. Those who turn to major medical insurance often do so because of necessity. Common sense dictates that accidents and diseases can occur, and the potential costs associated with these risks are extremely high. Financial losses can be devastating if a loved one needs to stay in a hospital for an extended period of time. Because of the low premiums, major medical is a very reasonable option for these individuals. Prescription drug coverage is sometimes available as long as the insured pays the deductible on all medications, offsetting the high cost of medicine. 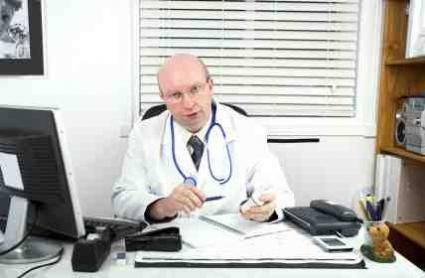 Nevertheless, major medical insurance also has plenty of drawbacks to consider. Coverage may not include certain pre-existing conditions, and it may be rather selective, so certain injuries and illnesses do not fall under the plan. Most companies have a maximum limit that they will pay out on the behalf of one individual, and if the cost for care exceeds that limit, the insured must pay. Other lifestyle habits, such as drinking and smoking, might prevent someone from obtaining coverage.